Although over the last two decades there has been a proliferation of gender studies, transgender has largely remained institutionalised as an ‘umbrella term’ that encapsulates all forms of gender understandings differing from what are thought to be gender norms. In both theoretical and medical literature, trans identity has been framed within a paradigm of awkwardness or discomfort, self-dislike or dysfunctional mental health. Marginal Bodies, Trans Utopias is a multidisciplinary book that draws primarily from Deleuze and post-structuralism in order to reformulate the concept of utopia and ground it in the materiality of the present. Through a radically new conceptualisation of the time and space of utopia, it analyses empirical findings from trans video diaries on the Internet belonging to transgender individuals. In doing so, this volume offers new insights into the everyday challenges faced by these subjectivities, with case studies focusing on: the legal/social impact of the UK’s Gender Recognition Act 2004, boundaries of public and private as evidenced within public toilets, and the narrative of the ‘wrong body’. Contextualising and applying Deleuzian concepts such as ‘difference’ and ‘marginal’ to the context of the research, Nirta helps the reader to understand trans as ‘unity’ rather than as a ‘mind-body mismatch’. Contributing to the reading and understanding of trans lived experience, this book shall be of interest to postgraduates and postdoctoral researchers interested in fields such as Transgender Studies, Critical Studies, Sociology of Gender and Philosophy of Time. Caterina Nirta addresses one of the central political questions of the present – transsexual bodies and the various forces and intensities which compose them, their capacities to invent new modes of subjectivity and new kinds of sexual and gender practices. In asking how it is possible to understand corporeal becomings beyond identity politics and beyond gender binaries, this book proposes a provocative transgender utopianism of the present. This book provides what the author describes as ‘an ethical utopianism,’ which it thinks through in relation to the actuality and actualisation of gendered and somatic life by transgender people. Drawing on Deleuze, it offers a critique of gendered being/becoming which foregrounds immanence, or the materiality of the present, over transcendence, or a future that never arrives. Caterina Nirta potently re-establishes the need for utopia, based on well-analysed, crystal clear theory, and proposing a perfectly actualisable possibility of a new utopia where both singularity and multiplicity are equally honoured. The whole book is an effortless and at points poetic passage through disciplines, methodologies, theories, spaces, bodies, genders, and genres. It dwells a genuinely hybrid space, simultaneously rigorous, exciting, voyeuristic and caring. Caterina Nirta provides a provocative new perspective on lived experiences of time and the ethics of being. She radically reconceptualises notions of utopia, arguing for a recognition of transgender actualisation in the here and now through a timely analysis of how individuals might claim space within and against essentialist social and legal structures. 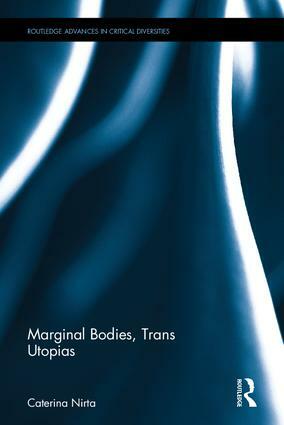 Drawing extensively on Deleuzian philosophy and empirical insights from trans video diaries, Marginal Bodies, Trans Utopias offers an important contribution to contemporary debates around queer temporality, gender binarism, legislative recognition, public toilets and Othered bodies. Chapter 1 - How Might It Be? Advances in Critical Diversities provides an exciting new publishing space to critically consider practices, meanings and understandings of "diversity," inequality and identity across time and place. The book series will have a particular focus on developing an extended conceptualization of diversity and division which incorporates dimensions of political, social, economic and cultural, as well as the bodily and intimate, to consider how diversity is lived-in, inhabited, mobilised and refused.